At Ecos Research we apply curiosity to identify breakthrough energy savings opportunities. By challenging the assumptions behind established test methods and usage models, we enable policymakers and utilities to identify low-cost pathways to exceeding their energy savings goals. Ecos Research teamed up with NRDC to study the energy impacts of UHD TVs on US electricity bills. Our lab performed power use measurements on 21 televisions representing a cross-section of 2014 and 2015 models and combined it with public databases on sales and energy use to paint a picture of impacts on consumers and the environment. Recent studies have demonstrated the potential to accelerate the adoption of heat pump dryers, which reduce the energy required to dry clothes by about 50% and can produce $4 Billion in annual savings for consumers. With 85 years of combined experience in energy efficiency research and policy; building mechanical and electrical engineering; and electronics product development, supply chain operations and electronics lab work; Ecos Research staff bring a wealth of experience unique insight to client research projects across a wide array of energy efficiency topics. Regular dryers use as much energy as Massachusetts & cost $9 billion per year to operate. Heat pump dryers use 50% less energy. UHD TVs could raise energy use more than total consumption in Rhode Island, costing consumers $1 billion/year and releasing 5 Million Metric Tons of CO2. Set-top boxes use as much energy as Maryland and cost $3 billion per year to operate. Research has shown up to 50% savings by 2020. With a strong blend of creativity, analytics and concise communication our team has been leading the way to find new opportunities to promote energy efficiency. Visit our resource library to learn more about the issues we investigate, our research capabilities and the background for current work we are doing. Demand response programs serve a necessary role in the electrical system. When generation and transmission (G&T) resources are near their limits, the choice is often to import expensive power or run costly peaking plants. Analysis of Standards Proposal for Set-Top Boxes – Codes and Standards Enhancement (CASE) Initiative For PY2013: Title 20 Standards Development. There are approximately 30 million set-top boxes in use in California today, consuming a combined 3,800 gigawatt-hours per year (GWh/year). Analysis of Standards Proposal for Small Network Equipment – Codes and Standards Enhancement (CASE) Initiative For PY2013: Title 20 Standards Development. There are approximately 27 million small network devices in use in California today, consuming a combined 1,700 gigawatt-hours per year (GWh/yr). Ecos Research Co-Founder, Chris Calwell, delivered the Keynote presentation at Portuguese Council for an Energy Efficient Economy (PCEEE) conference in Lisbon, Portugal. Are Test Procedures Passing the Test? Ensuring That Measured Results Are Representative of Energy Use in the Field. 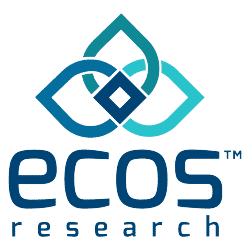 Ecos Research Co-Founder, Chris Calwell, delivered this presentation at the Energy Efficient Domestic Appliances and Lighting (EEDAL) Conference in Coimbra, Portugal.